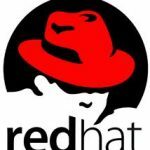 RED HAT HAS ANNOUNCED the release of Red Hat Enterprise Linux Openstack Platform 5 (RHELOP5). The new version is the latest iteration of Openstack Icehouse, aimed at allowing service providers including telcos, ISPs and cloud providers to spin up Openstack powered clouds. Introduced as a beta back in June, RHELOP5 will have a three-year lifecycle and support from over 250 Openstack partners. VMware infrastructure is integrated for virtualisation management, storage and networking, with seamless integration from existing VMware vSphere resources to drive virtualised nodes, all controlled from the Openstack Dashboard. RHELOP5 includes improved support for virtual machines with new cryptographic security using the para-virtualised random number generator introduced in Red Hat Enterprise Linux (RHEL7). Also new is improved workload management across available cloud resources with server groups spread across the cloud, producing lower communication latency and improved performance. Radhesh Balakrishnan, Red Hat GM of Virtualisation and Openstack, said, “We see momentum behind Openstack as a private cloud platform of choice from enterprise customers and service providers alike. “Red Hat Enterprise Linux Openstack Platform 5 not only offers a production-ready, supported version of Openstack Icehouse, but it brings a number of features that will simplify its use, and enhance dependability for enterprise users. RHELOP5 for Red Hat Enterprise Linux 7 (RHEL7) is available now with support for RHEL6 to follow in the coming weeks.